How To Install Plex On Non-Jailbroken Apple TV 2 and Apple TV 3: As we have already reported in our previous post that Plex now runs on Non-Jailbroken Apple TV 2 and Apple TV 3, that became possible due to PlexConnect- quite a clever hack that helped in installing full-functioned Plex Client on Non-jailbroken Apple TV2 and Apple TV3. Further, in this article, we are going to share the complete installation guide for Windows XP, Vista, Windows 7, and Windows 8. 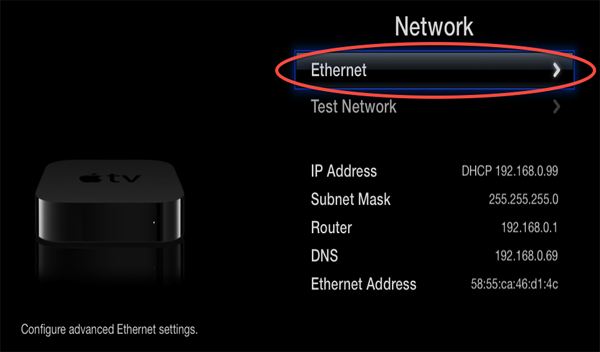 Note: For short note, this guide is also useful with firmware prior to 5.2 and Apple TVs on wireless connections. What you need to do is, use common sense and change the DNS on the ATV but leave the subnet mask and router settings as it as. 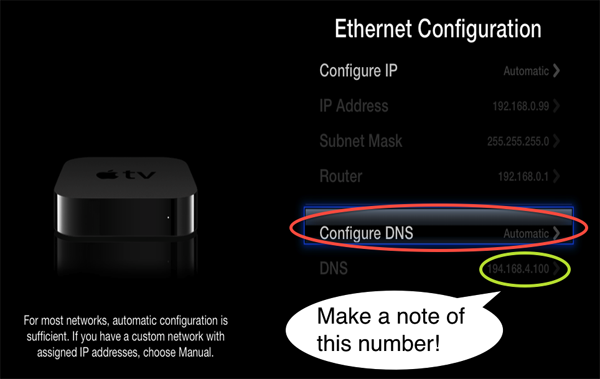 To make PlexConnect work for you the Apple TV should have its DNS server name changed to that of ATV. To assure that the device’s IP address doesn’t change until you do that manually, you need to set up a DHCP reservation or select a static IP in your router settings and then make a note of it. Click here for a Lifehacker guide on how to setup DHCP reservation. 2. In ‘Ethernet Configuration’ Window details regarding IP Address, Subnet Mask, DNS Server, and Router IP will appear. Just note down current DNS Server as you will be needing this to add into your PlexConnect settings. Then click on the ‘Configure DNS’ button. 3. 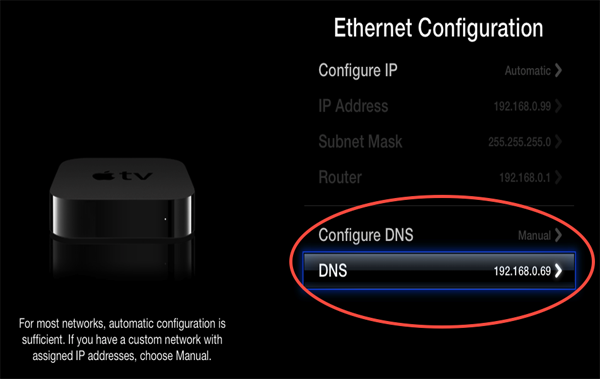 Now a ‘Configure DNS’ screen will appear with two options. Click on the ‘Manually’ Button. 4. Then a next screen will appear asking for the DNS server IP address. Change the DNS IP address to the ‘Local IP address’ of the device on which you are running the PlexConnect application on. Then click on the ‘Done’ button. Note: If you are using a firmware prior to 5.2 then it will take you to Configure the IP address and Subnet Mask of the router, leave it unchanged. 5. After successful configuration, it should take you back to first ‘Ethernet Configuration’ screen. 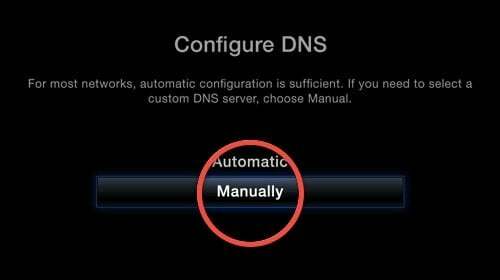 What you have to ensure here, is that DNS Server is set to manual mode and DNS IP address is same as that of the device on which you are running PlexConnect. Now as you have downloaded the PlexConnect zip file just save it anywhere in the directory of your machine on which you want to run PlexConnect and unzip it. Just Double click the “PlexConnect.py” file to run PlexConnect. Outputs will appear on command window as PlexConnect starts running. Open the Trailer application on your Apple TV and screen with PlexConnect interface should appear. Now you are all good to go. Enjoy! Go to IIS Manager, look for ‘Sites’ and make sure that there are no sites running on Port 80. Then go to Windows Firewall and create one new ‘Inbound Rule’ for the python.exe file to give it access to the internet. So this would be all about how to set up a static DNS address and How To Install Plex On Non-Jailbroken Apple TV 2 and Apple TV 3. If you still have any technical problem with the installation. Please let us know in the comment section and we will get back to you as soon as possible.